If you would like to contact any of our missionaries, please log in to get the contact information. Chris & Jana & family are serving with Brazil Gospel Fellowship at the home office in Springfield, Illinois. Chris and Jana served in Fortaleza, Brazil for eight years and recently were asked by the directors to serve on the home front. They have four children, Alicia, David, Karrisa, and Katherine. They have also added one more member to their family, Corrine. You can give to their ministry at: www.bgfmission.com. Rick & Mary Glover are serving northern Indiana with AWANA Clubs International. They provide support and help build new clubs for the organization. You can support them at: www.awana.org. Randy and Adena are serving in Nigeria with SIM (Serving In Missions). They help train native peoples to serve as missionaries in their own country. You can support Randy and Adena at: www.SIM.org. After retiring from pastoral ministry, the last 26 years of which was at Calvary Baptist Church, Rick and Judy joined Biblical Ministries Worldwide as U.S. Representatives. 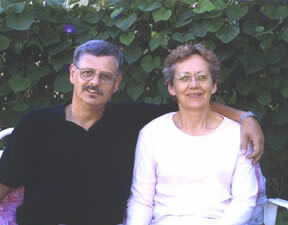 They represent the mission to local churches with Rick teaching and preaching in churches throughout the United States. The Smiths also assist in following-up with and encouraging newly appointed missionaries during their time raising support before going to the field for the first time. You can support their ministry by going to www.biblicalministries.org. Pete & Cindy serve with International Students at Purdue University in West Lafayette, IN. They work with students from foreign countries to help them adjust to life in the US and introduce them to the gospel. You can support this ministry at: www.isionline.org. Henry is the executive director of Midwest Church Extension. 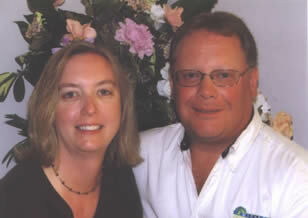 He served with his wife, Linda, planting churches in the Midwest. You can donate to their ministry at: www.ifcamce.org. Andrew and Erin Stroup are serving at Crosswind’s Caribbean Mountain Academy, a faith based boarding school for at risk American teenagers located in the Dominican Republic. CMA’s mission is to help troubled American teenage boys and girls and their families be restored back to mental, emotional, and spiritual health. We do this through a unique atmosphere with staff who are committed believers who have raised support to teach, counsel, and do life with the students. They see genuine faith lived out, while also learning about what God’s word has to say about them and what Christ did for them, through daily devotions and weekly church services. The students also receive professional counseling services targeted to helping the teen with specific issues, as well as the family unit as a whole. Some unique aspects we offer due to our location in the Dominican Republic is the opportunity to complete service projects in the surrounding communities where many families are living well below the poverty line. In addition, we are able to offer opportunities to challenge the youth physically through adventure based learning activities, including an annual five day hike up Pico, the tallest mountain the Caribbean! CMA also serves as a missions hub for churches, school teams, and families to come down and serve in missions projects strategically paired with the skillset the team brings to the campus. To join our support team through a one time donation, or through regular support, go to our support page: http://crosswinds.org/support-us/staff-support/ and find our picture! All Things New exists to provide hope, a fresh start, and freedom for women struggling with various addictions by providing a safe environment and life skills necessary to destroy old habits, while fostering dependency on Jesus Christ, who makes all things new. Visit www.allthingsnew.us or email info@allthingsnew.us to learn more about this ministry. Providing loving Christian homes for children in need in the United States and around the world. Click on their website for more information.